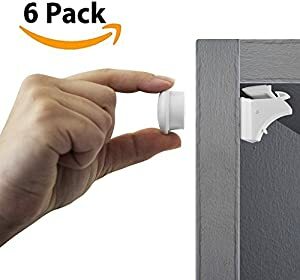 Amazon Giveaway: Calm Home Magnetic Cabinet Locks - Secure Kitchen And Bathroom Cabinets For Your Baby's Safety. No Drill Installation. Lock Away Danger! Calm Home Magnetic Cabinet Locks - Secure Kitchen And Bathroom Cabinets For Your Baby's Safety. No Drill Installation. Lock Away Danger!